Homes have evolved dramatically over the decades, shifting from smaller, compartmentalized spaces to large, open ones that accommodate the always busy, always on-the-go family. When homeowners choose to purchase older homes, they often plan renovations to knock down walls and expand the kitchen to fit into the open floor plan style that is so popular in newer homes. However, if you opt for a new construction home when you purchase, you can enjoy all the perks of open concept living, without a single renovation needed. From fringe architecture to mainstream. Open floor plans stemmed from the ultra-modern home designs of Frank Lloyd Wright, which gained notoriety in the 1920s and 30s. Wright designed functional “usonian” homes that were typically L-shaped, occupying one floor, and has a largely open configuration. This is a big shift from the design of small galley kitchens separated in the back of the home with the living room, family room, and other common spaces all divided as well. However, it wasn’t until the 60s that open floor plans became a mainstream concept, and this type of layout has only become more desirable with buyer demand through the decades. A desire for more space. The popularity of the open floor plan stems from the desire to live in bigger spaces. In post WWII America, people were enjoying newfound wealth and growth, and they wanted their homes to reflect that. Family life was also changing with a more casual approach. Therefore, it became more desirable to be able to cook in the kitchen while keeping an eye on the kids or watch TV while sitting in the dining room. Modern open concept design still focuses on integrating the kitchen into the primary living space and removing barriers in the main living area. However, because this drives families to gather in the kitchen and do more there than just cook and eat, features such as built-in storage, multi-purpose kitchen islands, and dual tasking furniture have become more common in modern open floor plans. Castle & Cooke designs and builds Southern Arizona homes with families in mind. 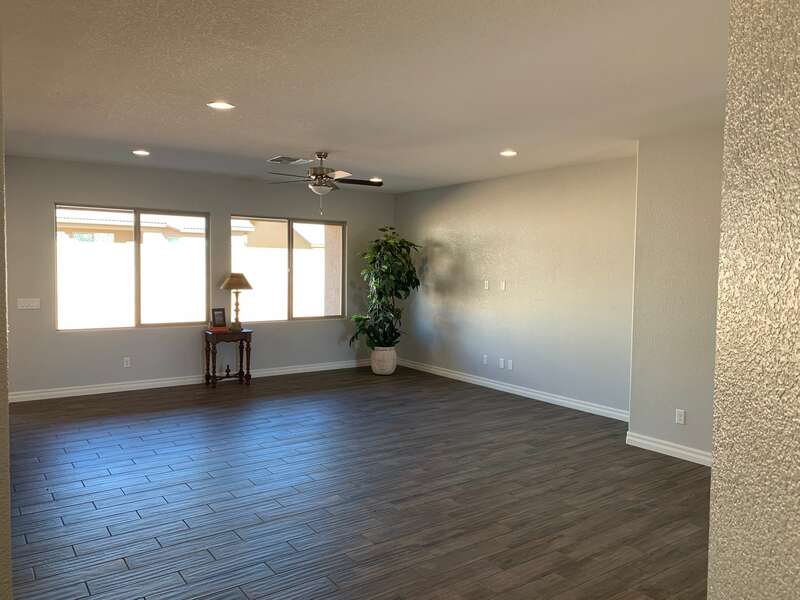 Explore the beautiful new construction homes we have available in Sierra Vista and Fort Huachuca by visiting our website or calling us at (520) 378-5110.